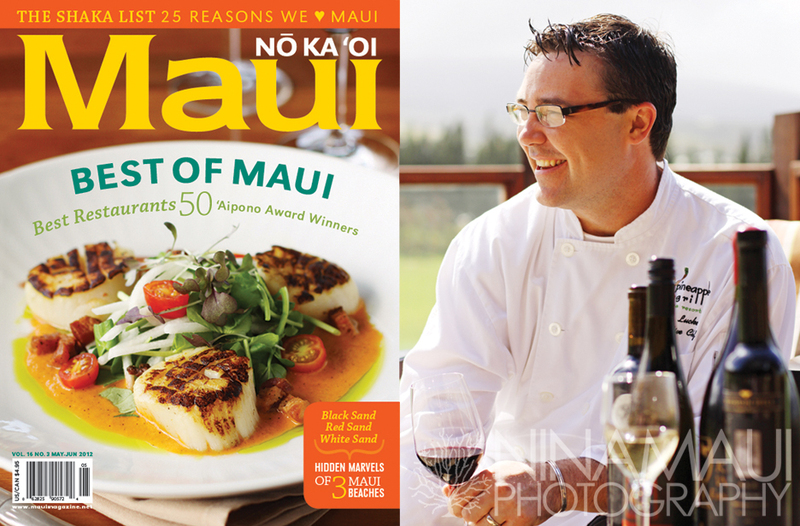 The latest cover of Maui No Ka Oi magazine, the Best Of Maui Issue! I was so honored to have this photo featured for this year’s Best of Issue. I had also shot this portrait of Chef Ryan Luckey that same day. After he created this incredible dish, we sat out on the lanai for a quick portrait. The light was a touch overcast, as is often the case in Kapalua, creating a wonderful effect for our shoot. Posted In: Food Photography, Portrait Photography. It’s hard not to take an awesome photo of a beautiful person in a beautiful setting. It’s just a recipe for a gorgeous shoot! A recent photo session at Kapalua Bay Beach Club made my job wonderfully easy. Here are two of my favorites from a casual portrait session the day before this beautiful bride’s wedding. She was the picture of relaxed beauty… really a treat to photograph!